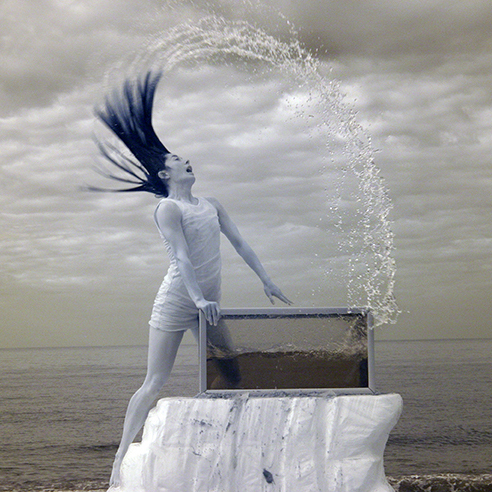 This is the dancer Louise Tanoto, taken with an infrared camera on Cromer beach for #tilted dance company. My first experiment with infrared, a series of lucky coincidences, finally sorting the camera and meeting the choreographer Maresa von Stockert, who gave me the chance to take this photograph. Louise started her dance sequence, I thought she’s not going to dance into the aquarium is she? But she was, and she did.